You may often watch movies & videos on portable devices, like, iPhone, iPad, iPod, Samsung, Android, etc. But have you ever thought of watching DVD movies on these mobile players without carrying heave discs? Now this dream is possible to come true, with the help of WinX DVD Ripper Platinum that developed by Digiarty Software, Inc. to rip DVD movie discs to be fit for iPhone, iPad, iPod and Android, etc. And it is tested as the No.1 fast DVD ripping & backup software with super image & sound quality in the Internet. To celebrate the forthcoming Halloween, the developer is giving away WinX DVD Ripper Platinum Halloween Edition (has the same functions with usual edition) to everyone. It is indeed great news for those who are looking for DVD movie ripping programs and want to play DVD movies on portable players. With this software gift, you are capable of smoothly enjoying any DVD movies as you wish on Halloween and no longer worried about the limitation of video formats. How to Participate in The Halloween Giveaway? As I mentioned above, everyone is available to take part in this DVD video software giveaway. And you are not required to leave email, name, etc. Just do as the following steps, you can easily get WinX DVD Ripper Platinum Serial Key. First, go to the giveaway page before November 4. And you will see a big blue “Get License Code” button. Then, click the button and a pop up window with license code and download link will show up. Finally, download, install this program to your computer and activate it with the License Code. 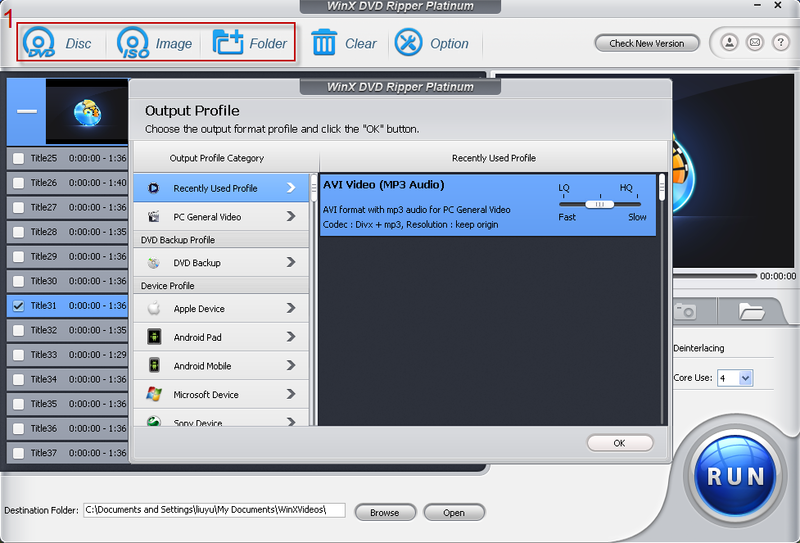 How to Use WinX DVD Ripper Platinum and Watch DVD Movies on Your Devices? Before introduce the ripping procedure, let’s see what on earth this DVD ripper is. WinX DVD Ripper Platinum is a Windows based DVD ripping & backup program that can rip any DVDs (Incl. the latest Disney DVD movies) via bypassing DVD copy protection, convert DVD ISO image and Folder to both general video formats and the compatible video formats of portable devices. It is able to rip DVD to AVI, MP4, M4V, FLV, M2TS, MPEG, MOV, the formats of YouTube, Facebook, Vimeo, etc.for playing with your computer. Moreover, it supports over 60 mobile devices as output profiles, for instance, Apple devices, Samsung, Microsoft, Sony, Android pad and smartphones, etc. In the meantime, WinX DVD Ripper Platinum also works DVD copy software that does well job to clone DVD disc to DVD ISO image and folder to play, burn DVD or other use, copy full or main title to MPEG for playing with media player software. 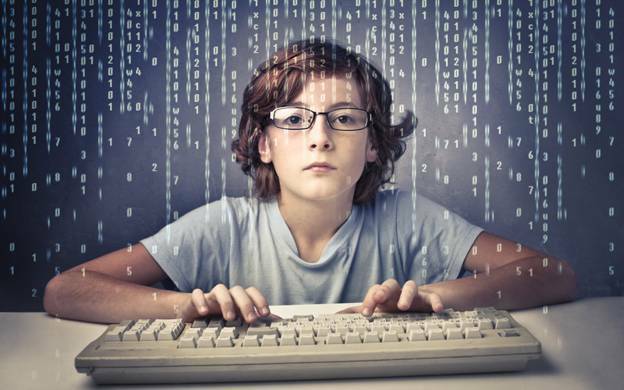 Step By Step Guide on How to Use the Software? Step 1: Load DVD Disc or ISO image or Folder to your computer after install and activate this software. 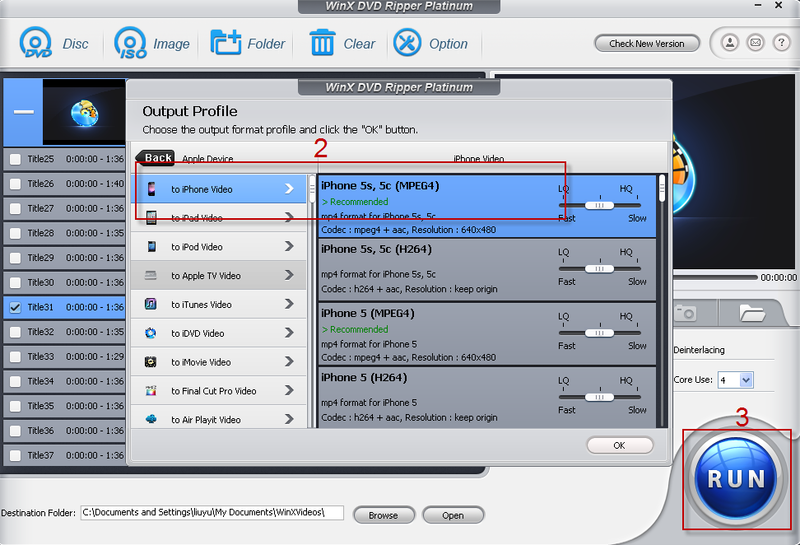 Step 2: Choose output formats as it demands; like for Apple Devices, choose “to iPhone Video > iPhone 5C, 5S (MPEG4)”. Step 3: Then just hit start and the DVD Ripper will start ripping it for your iPhone. So to get the DVD Ripper for yourself, just go to the giveaway page now and get the license code. Make sure to download the software and get the license code from the giveaway page before Nov. 4 or it will expire.